Starting July 31, you’ll have to cancel your Hilton hotel reservation a minimum of two days ahead of time or face paying full price for that first night. That’s right. All Hilton brands will soon join Marriott/Starwood in this restrictive new 48-hour cancellation policy. The new last-minute cancellation policies are going into effect at Hilton at the end of this month. We checked today and found the 24-hour policy still in effect at some hotels, so we assume this applies to all reservations made on July 31 and beyond. Hilton already has restrictive cancellation policies of 2-3 days in effect in high demand cities like San Francisco or New York. 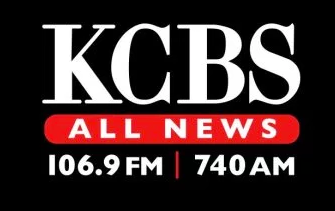 Listen to Chris discuss this with KCBS anchor Rebecca Corral. Now that both Marriott and Hilton are imposing the new policies, we’ll likely see the rest of the industry follow suit. Also keep in mind that several brands or individual properties have their own policies in place, so always check before you buy! Another tip: Many hotels will work with travelers individually on these fees, so try to work it out with the hotel if you can. It can’t hurt to ask for an exception, especially if the cancellation is beyond your control, such as bad weather or flight cancellation. A polite plea might do the trick. See New York Times story here. TravelSkills is headed to Hong Kong this week– have you been recently? 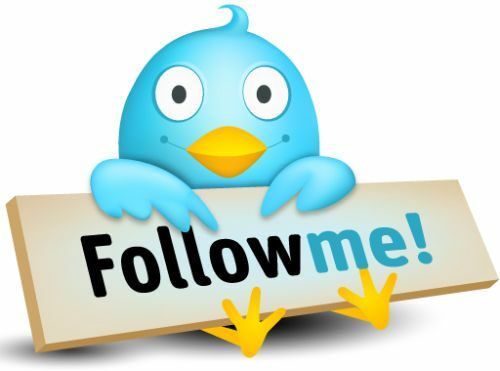 Do you have any great restaurant or entertainment suggestions? 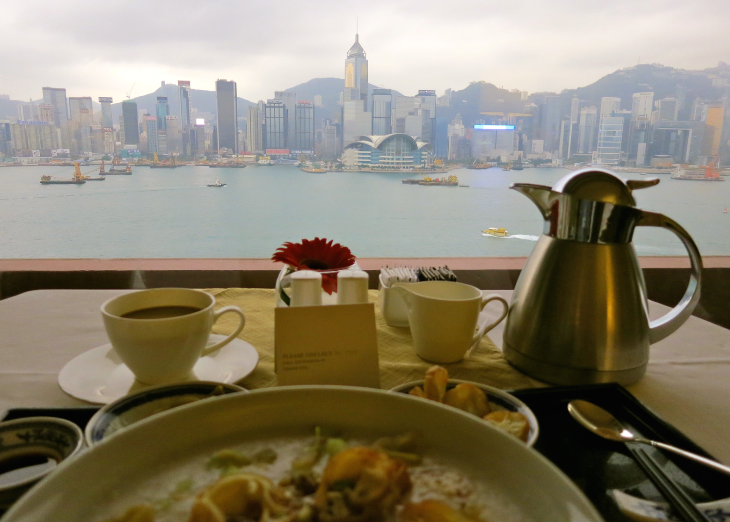 Post ’em below or email chris@travelskills.com Photo above is from our last trip there in 2012– yummy congee at sunrise at the InterContinental Hong Kong. Lufthansa installing broadband Internet on short, medium-haul flights. JAL will double amount of in-flight entertainment programming on international routes. Transportation Secretary Anthony Foxx eyes high-speed rail link from Atlanta to Washington D.C.
How long will competitive airline economics be able to keep supporting first class cabins? This video should warm the heart of anyone passionate about planes! 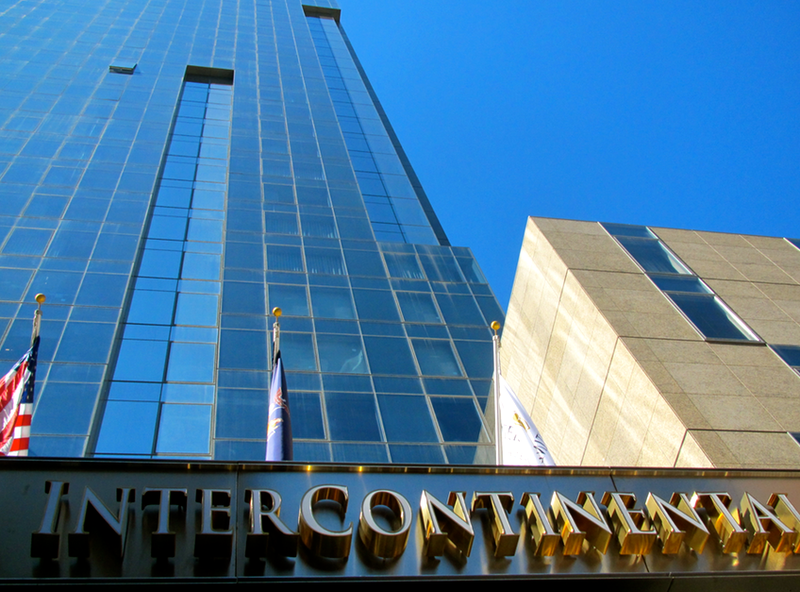 Starwood-InterContinental merger in the works? 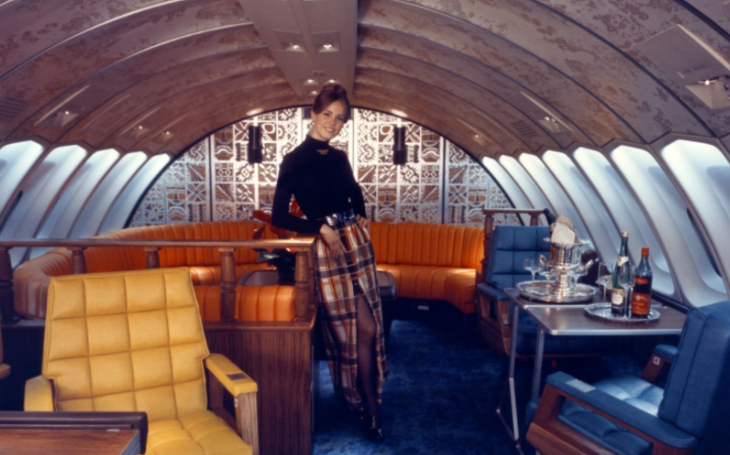 NOTE: Be sure to click here to see all recent TravelSkills posts about: United’s new 50,000 mile bonus + Easy 1,000 AAdvantage miles + The most outrageous luxury suites in the sky +Delta bumps up summer seats to Europe! Last year there was speculation in the lodging and financial industries that Starwood Hotels might be looking to acquire a huge rival: InterContinental Hotels Group (IHG). Nothing came of that talk, and it later emerged that the real potential suitor for IHG in that case was Wyndham Hotels, not Starwood. But with the announcement this week that Starwood is exploring “strategic and financial alternatives to increase shareholder value,” talk of a run on IHG is starting up again. Just after the Starwood statement, the price of IHG shares in London jumped almost 6 percent, according to Bloomberg News, as the market suspected the latter company could figure into Starwood’s future plans as a potential acquisition target– although Starwood stressed that it has no timetable for its strategic review. 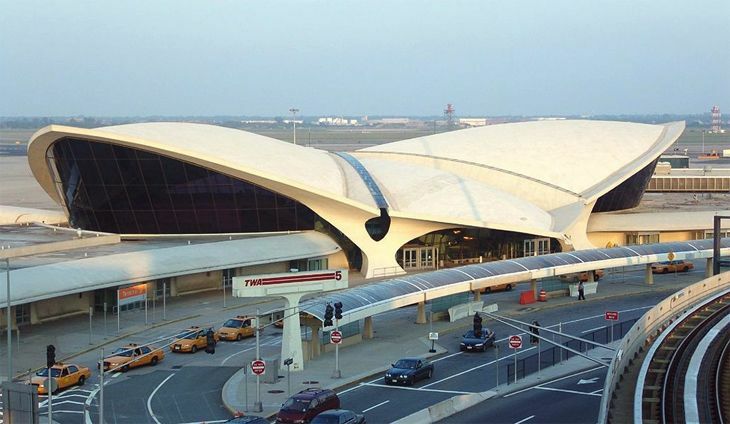 This would be an interesting combination for frequent travelers. IHG’s Rewards Club is the largest hotel loyalty program in the world. Starwood’s Preferred Guest program is undeniably one of the most popular. A mash up of the two programs would expand earning and burning opportunities like crazy. 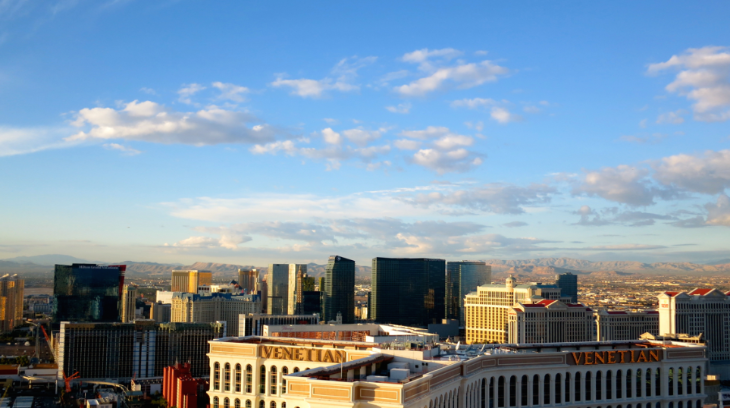 Mergers and acquisitions are riding high in the hotel business these days. 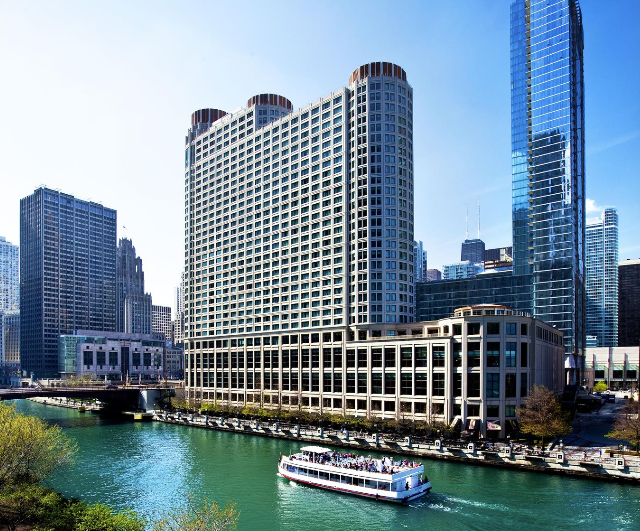 IHG recently completed the acquisition of San Francisco-based boutique chain Kimpton Hotels, with plans to expand it overseas; and Marriott has made strategic purchases to bolster its overseas inventory, including Africa’s Protea Hotels and Canada’s Delta Hotels. But the vague wording of Starwood’s announcement did not preclude a possible sale of the company to someone else if that were determined to be the best way to enhance shareholder value. “No option is off the table,” Starwood said, adding that it has retained Lazard to advise it on its best options. 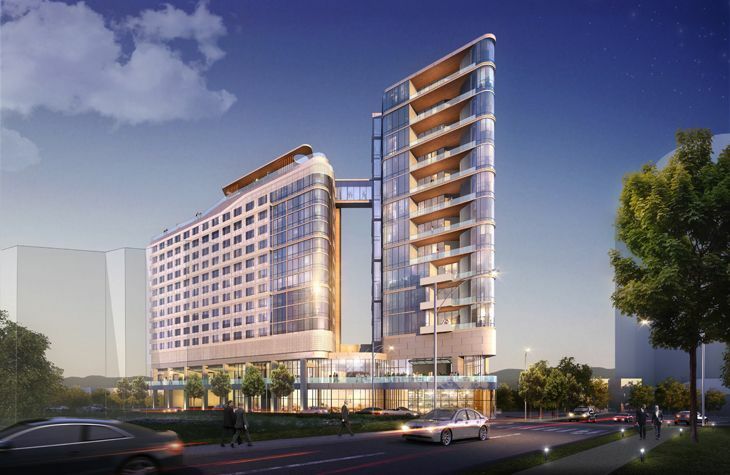 Besides InterContinental Hotels, IHG’s brands include Holiday Inn, Holiday Inn Express, Crowne Plaza, Indigo, the new Even Hotels, Staybridge Suites and Candlewood Suites. Among Starwood’s brands are the Luxury Collection, St. Regis, Westin, Sheraton, W, Four Points by Sheraton, Le Meridien, Aloft and Element. 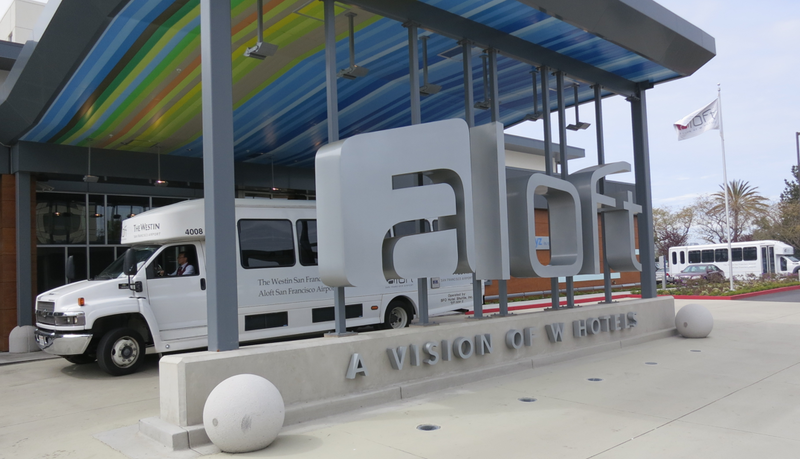 Would you like to see Starwood and IHG merge? It would sure create a whopper of a hotel loyalty program. 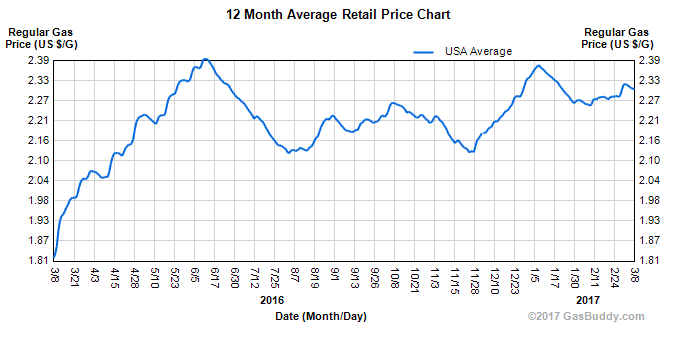 But fewer players in any industry usually translates to higher prices…. thoughts, please! Runway work at LAX. 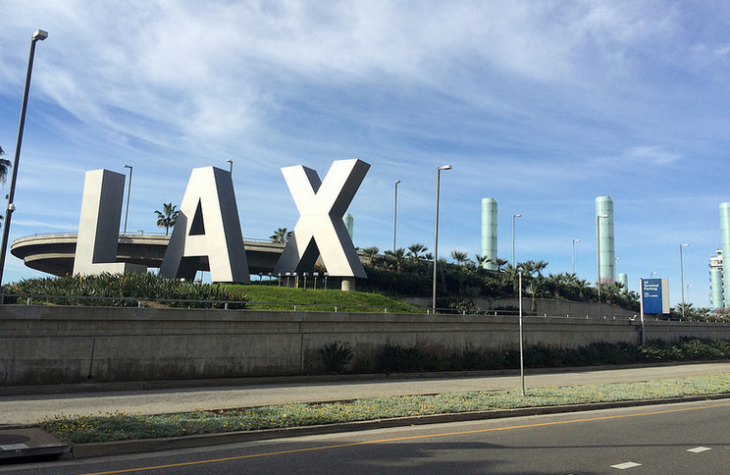 Los Angeles International Airport has started work on an improvement project for all four of its runways that will continue almost uninterrupted for the next two years. 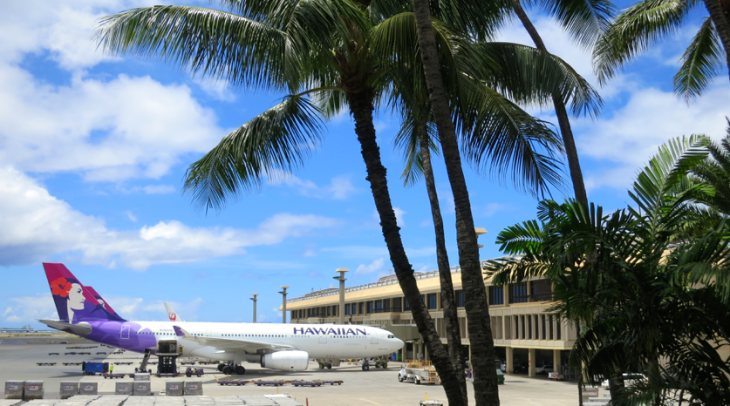 The job will require the closure of one runway at a time, and as a result, “passengers may begin experiencing impacts such as delays or a slight increase in wait times aboard aircraft,” the airport authority said. It noted that the biggest impact might be on the operations of Airbus A380s and 747-800s, which can only use two of the airport’s runways. 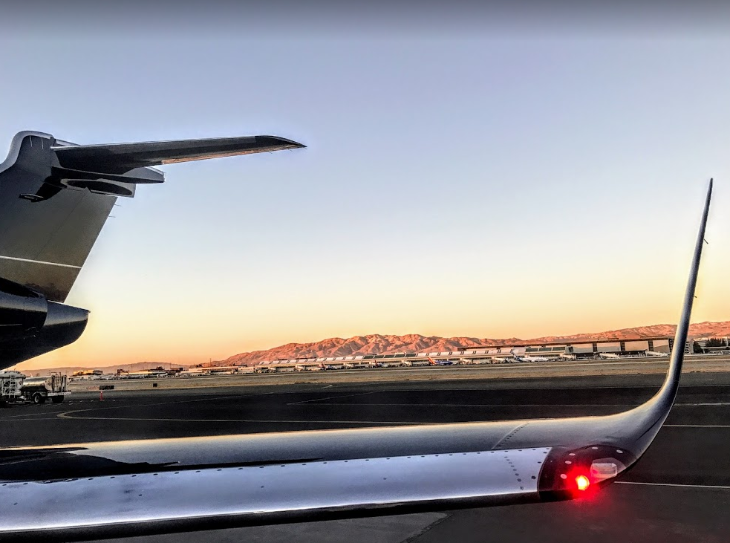 The project includes the addition of so-called “Runway Safety Areas” at the ends of each runway to give pilots a little more leeway if they undershoot or overshoot their landings. A similar project at San Francisco International last year had little impact on flight operations, and actually wrapped up ahead of schedule. Customs kiosks come to SFO, LAS. 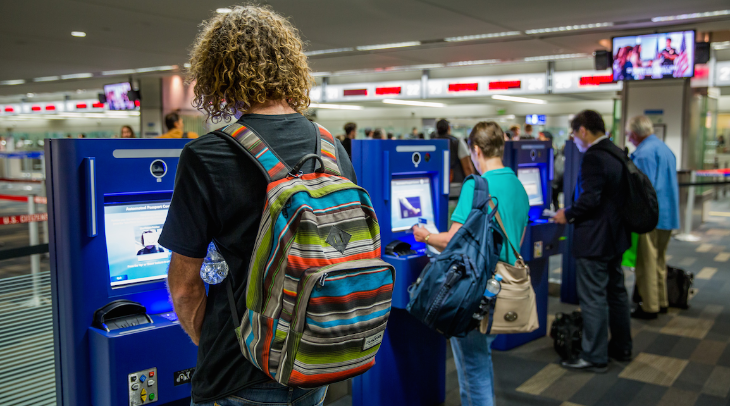 Those automated passport control (APC) kiosks continue to proliferate at major U.S. airports — a good thing for flyers, since they can cut down the line time for those re-entering the country by up to 40 percent. This week, San Francisco International is hosting a media event to show off the first of 40 new APCs it is installing in its U.S. Customs arrivals facilities. (SFO’s a little late to the show, since more than 30 airports already have them.) Meanwhile, Las Vegas McCarran last week unveiled a number of newly installed APC kiosks in the Customs Arrivals Hall in Termin al 3. And Miami International — one of the first airports to deploy the devices — said it has ordered 44 more APC kiosks, which will give it a total of 80. Passengers use the devices to enter their personal information and scan their passports, receiving a receipt to present to a Customs officer. Important: These kiosks are not Global Entry kiosks. New elite tier at IHG Rewards. InterContinental Hotels Group said it will add a new top membership level to its IHG Rewards Club in July, for those who earn 75,000 points in a year or stay 75 nights. Those who achieve this new tier will get 100 percent bonus points on qualifying stays, and a choice of 25,000 bonus points or the upgrading of a family member or friend to Platinum level in the program. In addition, “The qualification requirements for all membership levels have been restructured to make it easier for members to be rewarded for their loyalty,” IHG said — e.g., 10,000 points or 10 stays will earn a Gold membership, and 40,000 points/40 nights will qualify a Gold member for Platinum. Starwood’s new brand. Marriott has its Autograph Collection, Hilton has Curio, Choice Hotels has the Ascend Collection, and now Starwood has introduced its own new brand of independent but affiliated hotels. 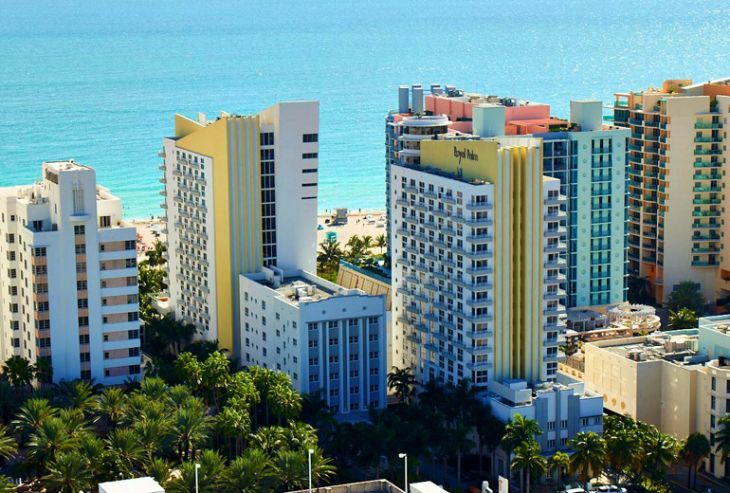 It’s called the Tribute Portfolio, and Starwood said its members will be “four star upper-upscale hotels.” The first Tribute property is the Royal Palm South Beach Miami, and others will soon join in Asheville, N.C.; Nashville, Tenn.; Savannah, Ga.; and Charleston, S.C., the company said. Tribute properties will retain their independent names and designs, but will take advantage of Starwood’s booking channels and will be a part of the Starwood Preferred Guest loyalty program. Starwood said it expects to have 100 members in the Tribute Portfolio in five years. Hot cars at Waldorf-Astorias. Like to drive really hot cars that you would never dream of buying yourself? Hilton’s Waldorf Astoria brand has just introduced a new program called Waldorf Astoria Driving Experiences at 12 of its properties in the U.S., Europe and the Middle East. Participants can book a package that includes a hotel stay and a “premier supercar driving experience” that puts them behind the wheel of a Ferrari 458 Italia, McLaren MP4-12C, Porsche GT3, Lamborghini Huracan, or Lamborghini Gallardo. They’ll also get driving tips from racing pros and suggested local touring routes to follow. 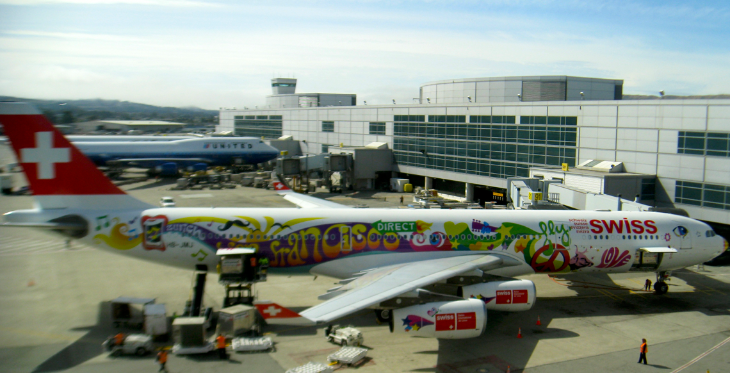 Oldie but goodie: Don’t make these 8 mistakes when visiting San Francisco! 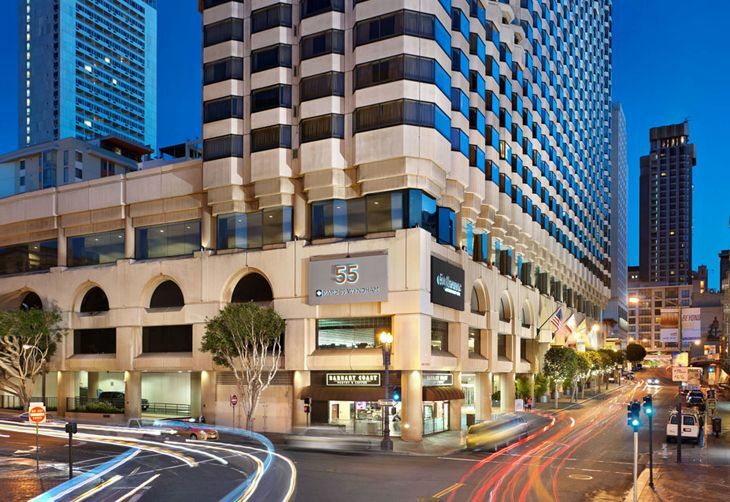 Hilton adds two San Francisco hotels. 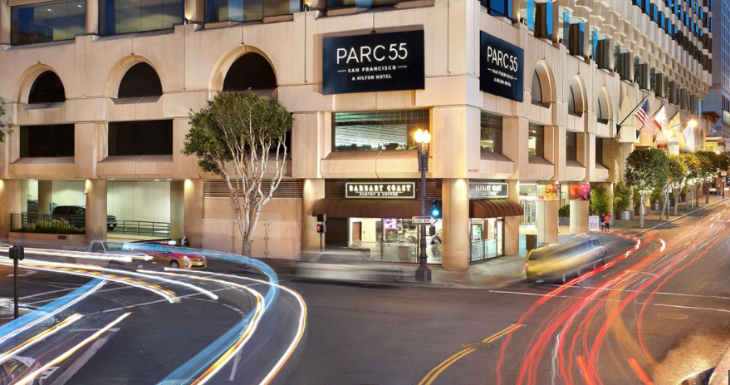 HHonors members should be happy to hear this: San Francisco’s 1,024-room Parc 55 Hotel, located downtown at 55 Cyril Magnin St. near the Powell Street BART station and Union Square — is now a Hilton. The lodging giant said it purchased the Parc 55 (formerly a Wyndham) and four other hotels with the whopping $1.95 billion proceeds from its sale of the Waldorf-Astoria in New York to China’s Anbang Insurance Group. 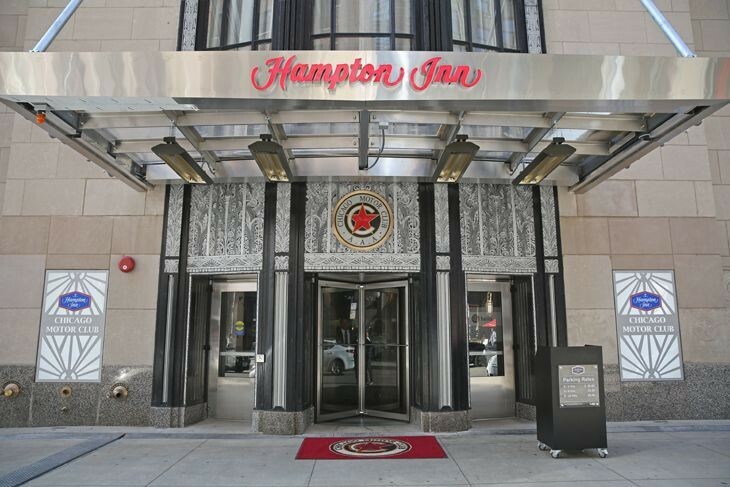 (The Waldorf will continue to be managed by Hilton, the company noted. And word on the street is that a massive, and much needed full renovation of the storied-but-tired property is in the works.) 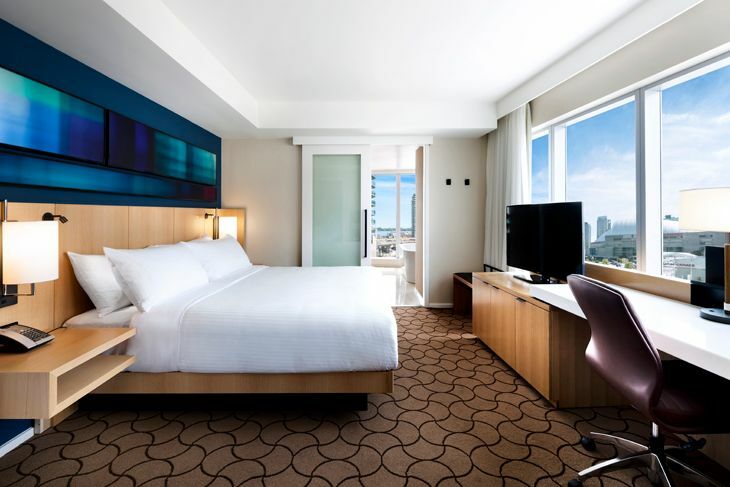 Meanwhile, Hilton is taking bookings starting June 1 for a newly built Hampton Inn a few blocks away from the Parc 55 at 942 Mission Street near the Moscone Convention Center. Virgin moves at San Diego. 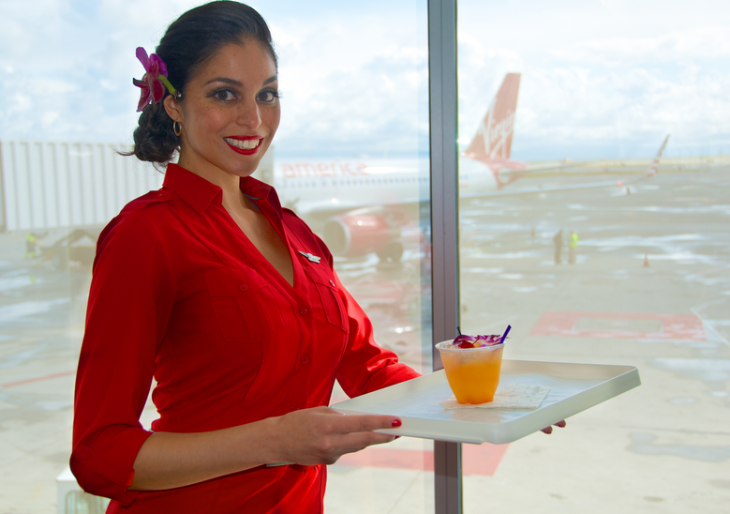 Virgin America Airlines, which flies five times a day between San Diego and San Francisco, has moved its check-in operations at SAN from the dour, aged east side of Terminal 2 to the sparkling new west side. The new Virgin check-in counters and kiosks are located between the Delta and JetBlue positions, and airport signs have been changed to reflect the move. 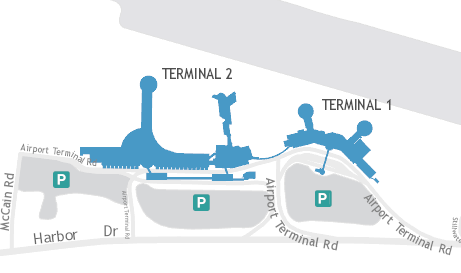 United also operates out of the new west side of Terminal 2. Which hotel chain has the fastest free wifi? Huffington Post reports that of all hotel chains that advertise free Wi-Fi, good old moderately priced brands like Quality Inns, Ramada Inns, La Quinta and Best Western are among the very best, according to a recent study from Hotel WiFi Test, a site devoted entirely to testing Wi-Fi service. 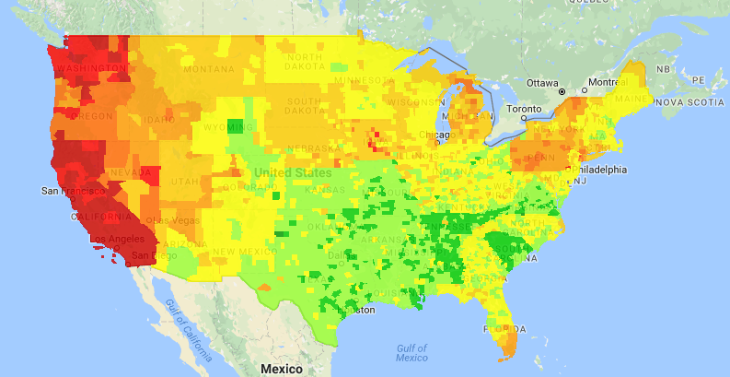 The company’s research found that nearly all midpriced hotel chains, for example, have functioning, free Wi-Fi, and it’s faster than what you’ll find at Hilton, Marriott or Sheraton. When to buy your spring-summer airline tickets? Expedia buys Orbitz. Apparently online mega-travel site Expedia wasn’t satisfied with its recently announced plans to buy rival Travelocity, because Expedia is now planning to gobble up Orbitz and its affiliated companies as well, for $1.6 billion. Besides Orbitz.com, that includes Orbitz for Business, CheapTickets.com, ebookers and HotelClub. Besides its namesake website, Expedia also owns Hotels.com, Hotwire.com and Trivago. This leaves Expedia and Priceline as the two major OTA players. Do you use online travel agencies, known as “OTAs” to book trips why or why not? HHonors offers lifetime Diamond status. Longtime Diamond members of Hilton’s HHonors program will have that status extended for the rest of their lives, an HHonors spokesperson told TravelSkills. Specifically, the lifetime status will be offered to anyone who has held Diamond status for 10 or more years (not necessarily consecutive) and has completed at least 1,000 nights of paid stays. “Over the past several years we have learned from members that Lifetime Diamond Status is something our most elite members are extremely passionate about,” the spokesperson said, adding that members who met the requirements by December 31, 2014 will receive a lifetime card and a gift in the mail. Hyatt has new perks for elites. Hyatt’s Gold Passport program is adding some new perks for top-level members. Starting March 1, Diamond members who transfer a free night paid with points to family or friends will have their Diamond in-hotel benefits (like breakfast, Regency Club access etc.) extended to those guests. Also effective March 1, Gold Passport Diamonds will get a pair of free passes each year for access to United Airlines’ airport lounges. And starting February 14, Diamonds and Platinums will get free premium Wi-Fi access at all Hyatts worldwide. 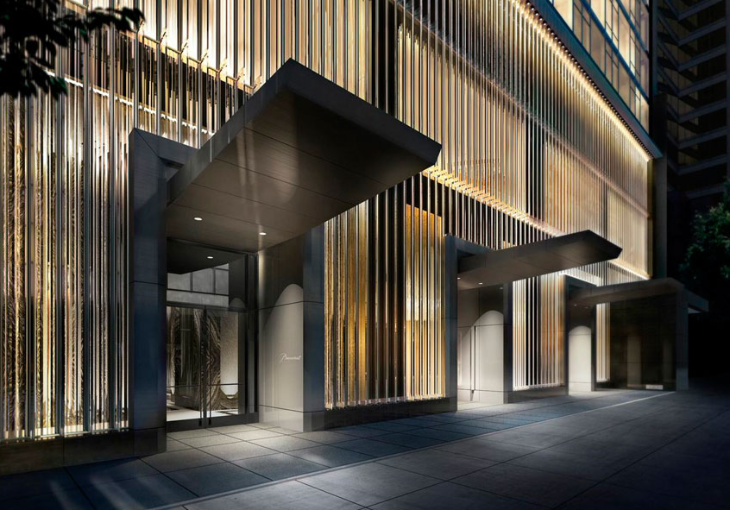 Seen this entrance to the new Baccarat hotel on W 53 in NYC yet? Another posh NYC hotel coming. March 2 is the opening date for the next of New York City’s posh and pricey hotels. This one is The Baccarat, at 20 West 53rd Street. Rates will reportedly start at about $729 a night for a classic king room. 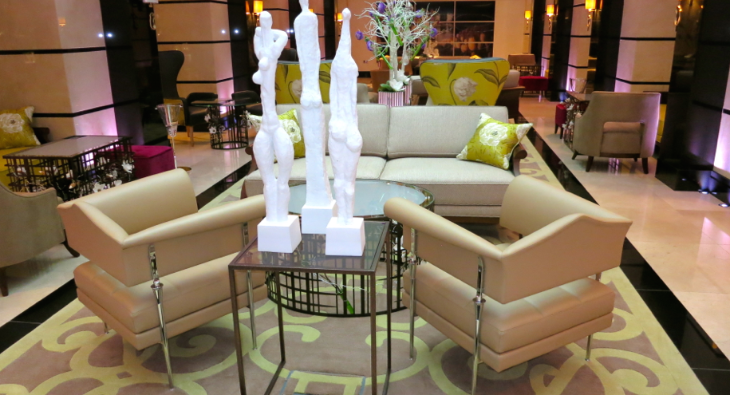 As its name suggests, the hotel’s decor will be heavy on glass and crystal touches. Did you miss out on Saturdays’ Weekend Edition of TravelSkills? Check it out here! More opportunities to earn Marriott Rewards. Marriott International will greatly increase its presence in Canada with the planned acquisition of that country’s Delta Hotels brand for $135 million. Delta has 38 hotels with 10,000 rooms in 30 Canadian cities; after the deal is complete, that will boost Marriott’s total presence in Canada to more than 120 hotels and 27,000 rooms. Marriott said that will make it “the largest full-service hotel company in Canada.” Meanwhile, Marriott also announced plans to bring its new Moxy brand from Europe to the U.S., with three new Moxy properties in New York City and others in San Francisco, Seattle, New Orleans and Chicago. The first Moxy opened in Milan last fall and others are coming in Munich, Frankfurt, Berlin Copenhagen and London. The Moxy brand will be modern and high-tech, with “highly social” lobbies, “free and furiously fast Wi-Fi” and such. 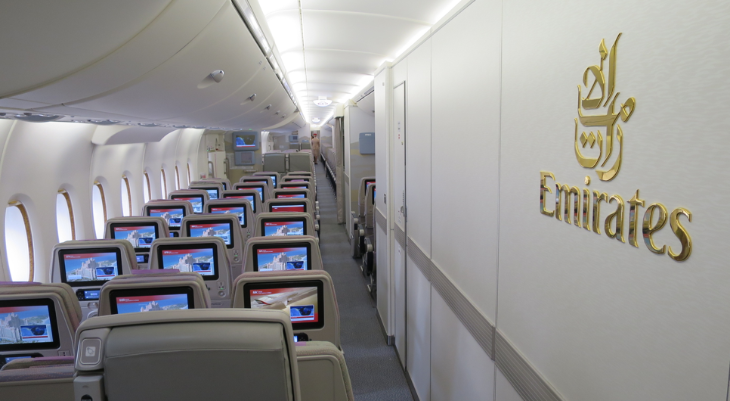 InterContinental offers double Delta miles. 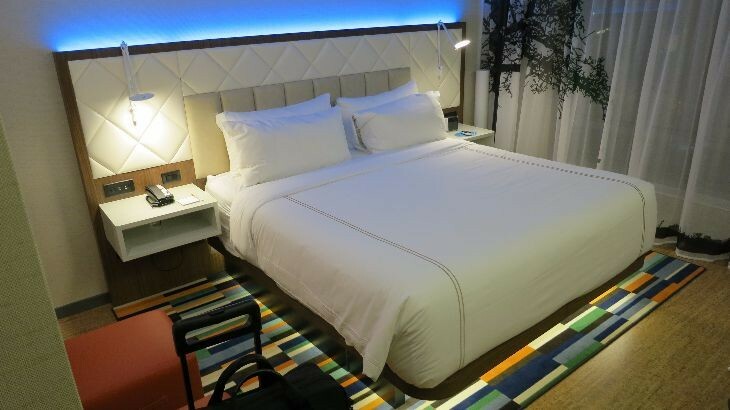 Members of InterContinental Hotels Group’s IHG Rewards Club who select Delta SkyMiles as their earning option can get double bonus miles for every qualifying stay at an IHG property from now through April 30. The offer requires online registration. 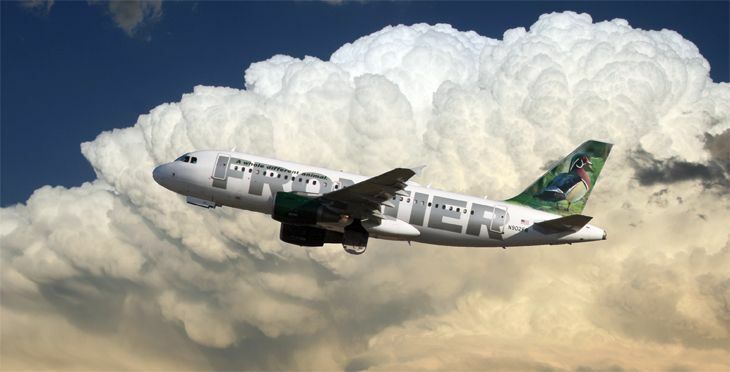 Storm update: Airlines have started to cancel flights and issue waivers of change penalties for Monday/Tuesday flights across a wide swath of the northern US. 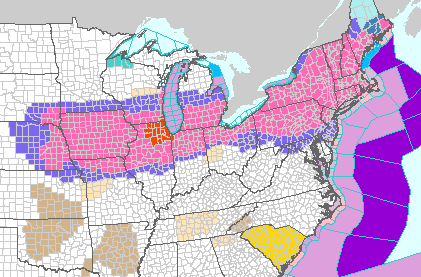 The National Weather Service has issued a blizzard warning for Chicago. Stay warm and remember: If your flight is canceled and you decide to bag your trip completely, the airline owes you a full refund. FCC gets tough on Wi-Fi blockage. The Federal Communications Commission’s Enforcement Bureau issued a stern warning last week that it won’t tolerate hotels or other commercial establishments blocking customers’ personal Wi-Fi hotspots. Last year, the enforcement agency fined Marriott $600,000 after one of its affiliated properties was caught doing just that in conference rooms; it said last week it is seeing a “disturbing trend” of similar activity and is currently investigating several complaints. “No hotel…may intentionally block or disrupt personal Wi-Fi hot spots on such premises, including as part of an effort to force consumers to purchase access to the property owner’s Wi-Fi network,” the FCC said. Think this has happened to you? Go to www.fcc.gov/complaints or call 888-CALL-FCC with details. Do you prefer your own hotspot to the hotel’s Wi-Fi? Under what circumstances? Full capitulation by Marriott. At first, it Marriott put up a fight over the heated hotspot issue, but quietly issued this “we thought we were doing the right thing” statement Saturday morning: Bethesda, Md., January 30, 2015 – Marriott International has decided to withdraw as a party to the petition seeking direction from the FCC on legal Wi-Fi security measures. Our intent was to protect personal data in Wi-Fi hotspots for large conferences. We thought we were doing the right thing asking the FCC to provide guidance, but the FCC has indicated its opposition. As we have said, we will not block Wi-Fi signals at any hotel we manage for any reason. And, as of January 15, we provide free Wi-Fi to all members of our Marriott Rewards program who book directly with us. We’re doing everything we can to promote our customers’ connectivity using mobile and other devices, and we’re working with the industry to find security solutions that do not involve blocking our guests’ use of their Wi-Fi devices. 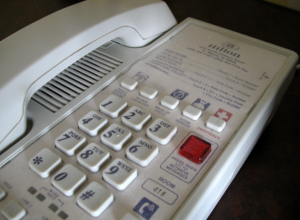 Demise of the hotel room phone upon us? 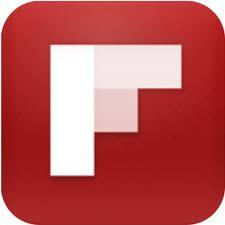 We’ll have a TravelSkills post this week about a new app that could spell the end to the room phone. Hyatt’s new brand. Is there no end to new brands in the hotel industry as major companies try to capture the growing market of Millennial business travelers? Hyatt has introduced five brands since 2006, and here comes a sixth: Some 15 Hyatt properties in key business destinations (like New York, Atlanta, Chicago, Miami and Paris) will take on a new identity this summer as the company launches the Hyatt Centric brand. 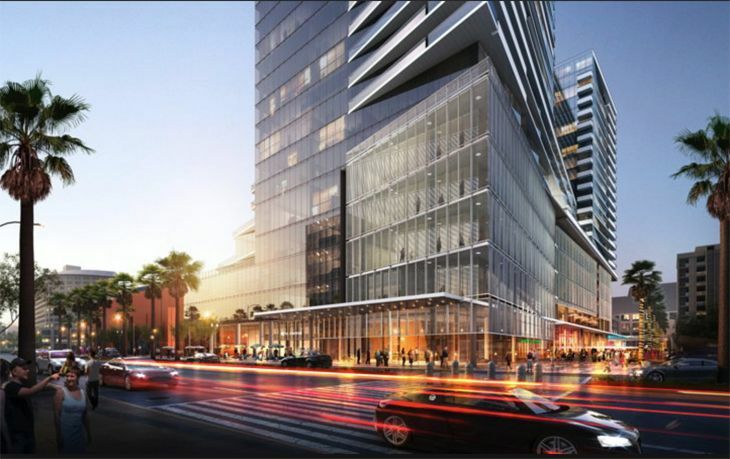 Hyatt says it will be “a full-service lifestyle brand” for travelers who want “a cosmopolitan vibe in the center of the action” (hence the name Centric). 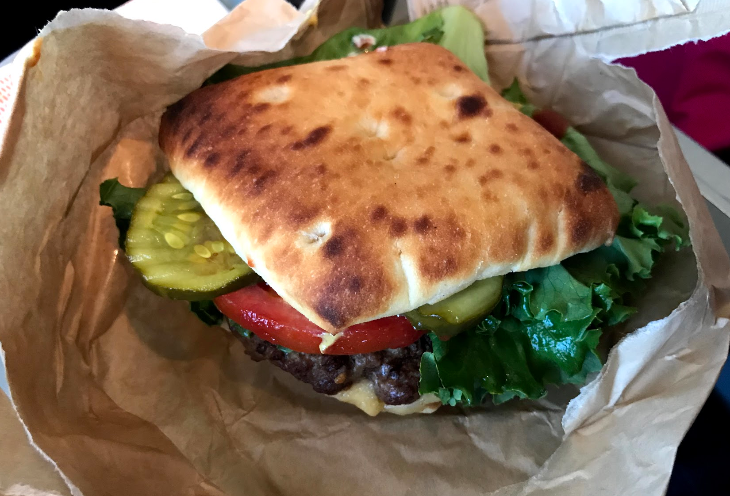 Like so many new brands, Centric will offer a public area where guests can work and socialize, along with a “knock ‘n’ drop” room service (i.e., no “formal delivery”). For more, go to www.hyattcentric.com. Which new hotel brands have you tried? What’s your favorite? Virgin’s Nashville plans. Virgin Hotels just opened its first property — in Chicago — but already has released plans for its second, which will open in Nashville in fall of 2016. Appropriate to its address at One Music Row, the 240-room hotel will include one non-standard facility: A recording studio. Also on tap are a live entertainment venue, Virgin’s trademark Commons Club bar/restaurant/hangout space, a gym, wellness center and rooftop pool. 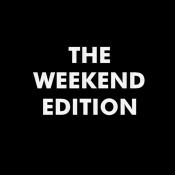 Did you miss the Saturday issue of our WEEKEND EDITION? Here ’tis! 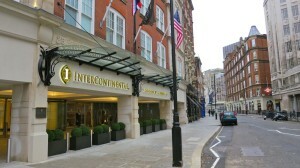 Hilton’s Conrad brand announced today that it will take over the InterContinental Westminster, which just opened in December 2012. The new Hilton Conrad London Westminster will make its debut in September. The hotel has a central London location, service, and style business travelers require. 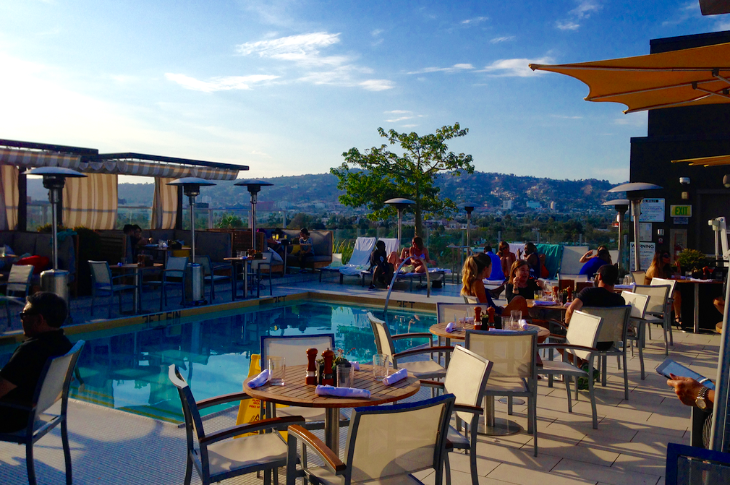 It also has a handsome restaurant and bar with a type of food you would not expect to find across the pond. While in the UK over the holidays in 2013, I checked in at the hotel for two nights. >The 256-room hotel opened as an InterContinental in early December 2012 in a quiet, yet very central area of London, in between Buckingham Palace and the Houses of Parliament, Big Ben and Westminster Abbey. It’s next door to New Scotland Yard. It will become a Conrad this starting September 14 2014. >The new hotel was built inside a group of 19th century buildings called the Queen Anne’s Chambers—so even though it looks traditional red-brick-London on the outside, everything inside is modern and brand new. As a matter of fact, when I was there, rooms on two floors of the hotel were still under construction. >Room rates are currently pegged at about $450 per night in August, and since it will soon be part of Hilton, you will be able to earn and burn HHonors points here. >Rooms are decorated in a pale palette of blondes, beige and gold, with classy wood, leather, marble and chrome finishes, which keeps the rooms bright—a good thing since most windows in the low-slung (6 story) building look out to other buildings across alleyways and streets or into light wells. >Bathrooms are big, modern and bright with separate tubs and showers. However, I was not a fan of the large, heavy, sliding doors separating the bathroom from the sleeping room. They seem awkwardly heavy, and not very soundproof, which can be important when more than one person is in the room. >Its fresh-faced, young, and professional staff is energetic, highly trained– delays in opening the hotel meant more training time for employees. >Art and interior design are inspired by the hotel’s location. For example, carpet in the corridors sports an unusual fingerprint design (for the spooks in Scotland Yard next door). Most of the paintings and sculpture include characters from London’s rich political scene, past and present—for example, there are busts are Margaret Thatcher, Tony Blair and London’s blustery mayor, Boris Johnson. >There’s a gym and fitness center in the basement. >It felt a bit odd for me, someone who grew up in the BBQ-sauce-soaked South, to dine on smoke ribs, pulled pork, baked beans and cole slaw in London. But I did, and loved it! 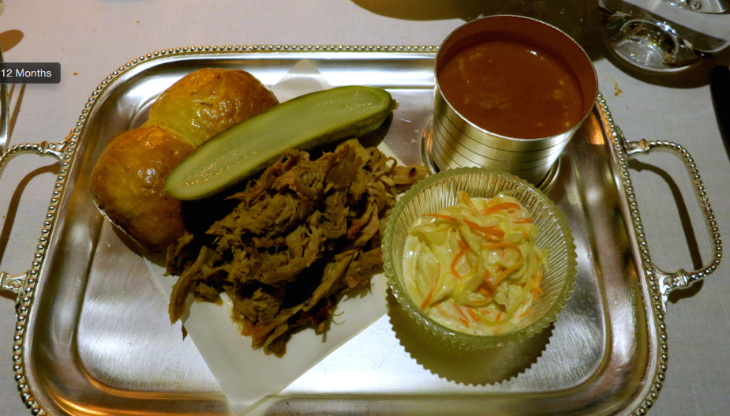 In typical British style, the, the BBQ at the hotel’s Blue Boar Smokehouse is served on (get this…) a silver platter. And in another hat tip to British tastes, the restaurant offers pulled lamb. Kudos to the chef Jon Ingram, who served up sweet, smoky and moist pulled pork, and spare ribs charred and spread with just the right amount of sauce. To finish, a classy finger bowl is provided to rinse sticky fingers. >The Blue Boar Bar, with green leather love seats, plaid loungers, wooden floors and a full bar looked like it would be great fun with a crowd. But when we were there, parliamentarians were on Christmas break, so it was quiet. 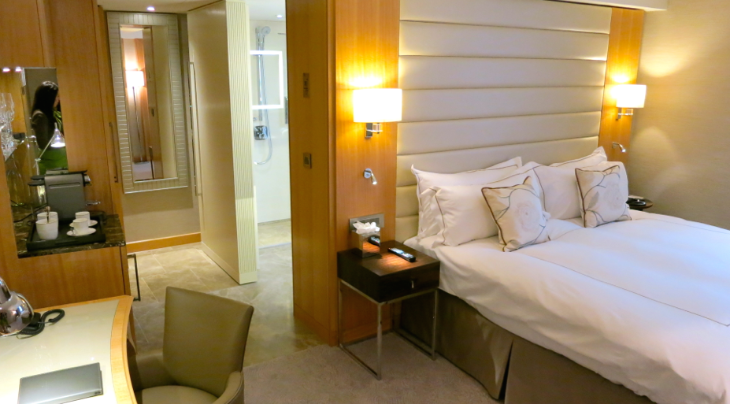 >Overall, The InterContinental Westminster is a very nice, new hotel in a quiet corner of London. It will be interesting to watch how it transforms into a Conrad. 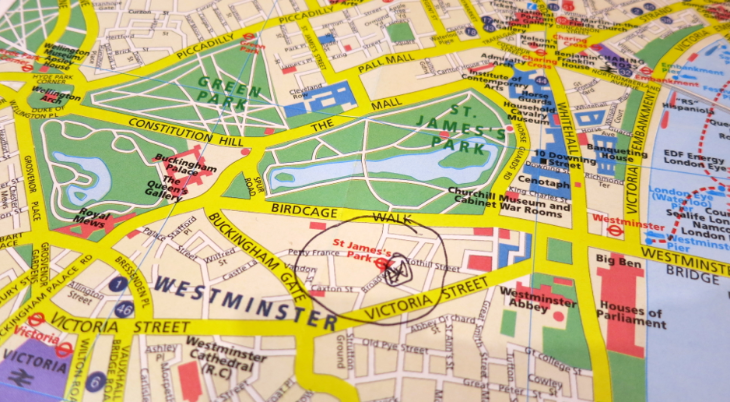 >The neighborhood around the hotel is a hotspot for new hotels… nearby you’ll find the St Ermin’s hotel and 41 Hotel both opened within the last year and both worth a look-see! IHG brands include Holiday Inn, Indigo, Crowne Plaza, InterContinental and Staybridge Suites, among others. 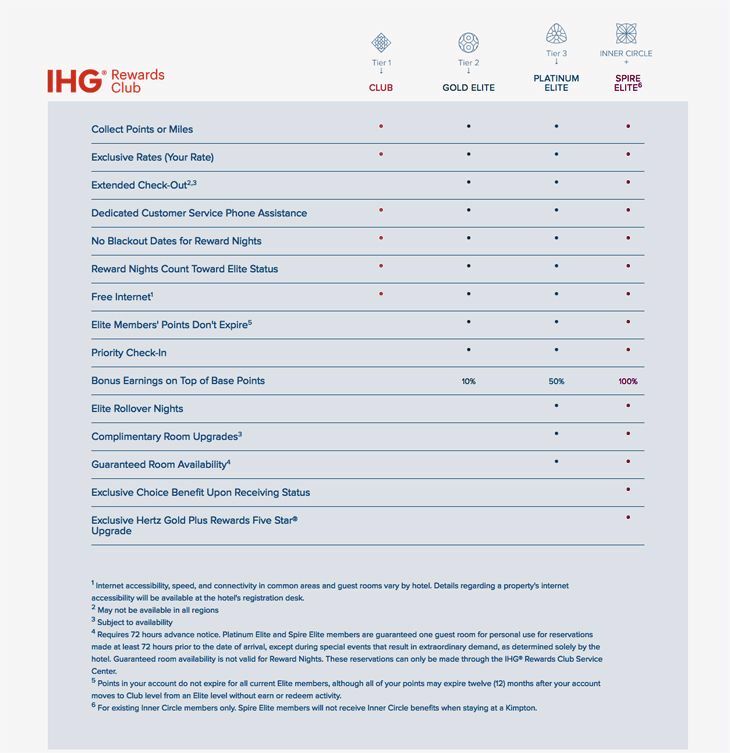 My first reaction is to try and figure out which IHG brands or hotel would align best with current Starwood brands. Here are a few thoughts. I’d love to hear yours! First off, Starwood is likely after IHG for its prize: The Holiday Inn and Holiday Inn Express brands. Starwood has always lacked a strong midscale product (4 Points just doesn’t cut it) and this would round out its brand portfolio nicely. If Starwood gets IHG, I bet it would keep the well-known Holiday Inn Brand, but likely fold IHG’s other brands into existing Starwood brands. I’m a big fan of IHG’s hip Indigo Brand, and could see most of those new hotels easily folded into Starwood’s trendy W or Aloft brands. 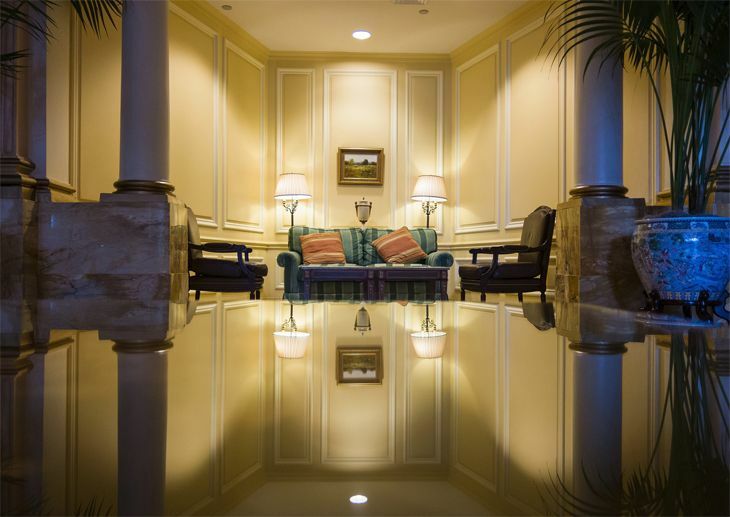 IHG’s InterContinental brand would probably split up, with its nice grand dames mixing nicely with Starwood’s Luxury Collection, Le Meridien or maybe even St Regis (although many would need significant upgrades.) For example, I could see the InterContinental Mark Hopkins in SF or the Barclay in NYC in that category. 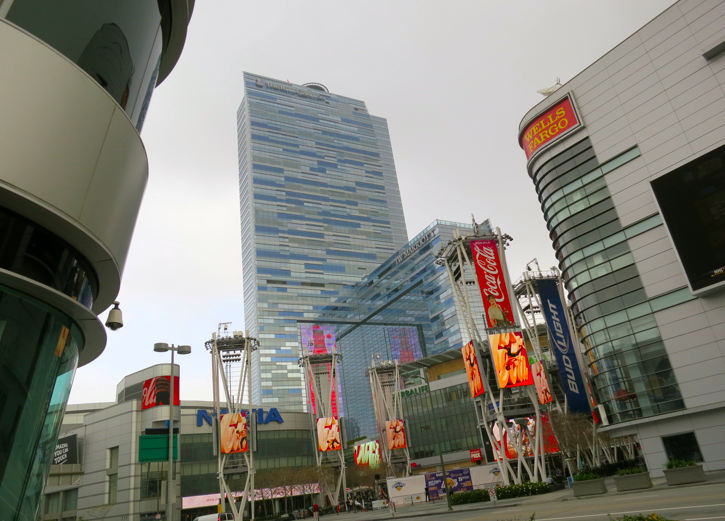 The larger, more modern convention-style InterContinentals (like the InterContinental Times Square, or the one by Moscone Center in SF) would likely become Westins or Sheratons. Speaking of Sheratons, I could seen nearly all of InterConti’s Crowne Plaza hotels (primarily focused on meetings and, at least in my experience, hosting flight crews) fitting into the Starwood portfolio best as Sheratons. 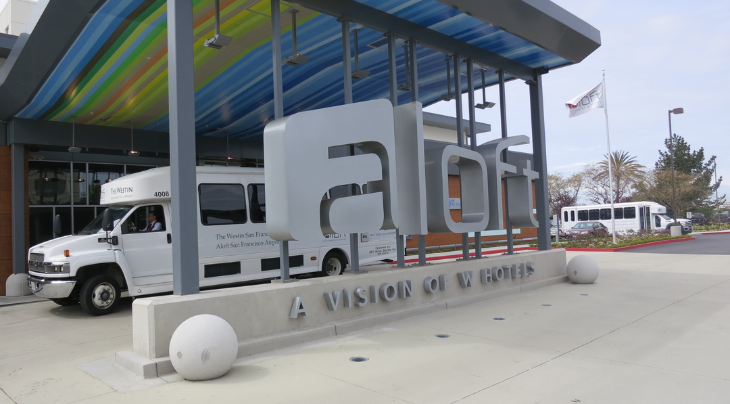 IHG’s Staybridge Suites and Candlewood Suites would likely become Element hotels, Starwood’s new extended stay product. How do you think Starwood and IHG would mash up? Does the combination of these two giant brands excite or scare you? Please leave your comments below!